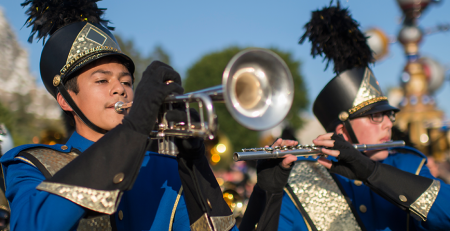 Music Travel Consultants has orchestrated a list of “Popular Student Marching Band Parades” to help Band Directors choose the right parade for their group. Groups performing at these parades have shared positive feedback on a consistent basis. There are many parades available throughout the world, but these are definitely the most popular. But if you have your heart set on the Los Angeles Lobster Dog Parade, we have some great costume recommendations! Bands in the 4.2 mile Portland Rose Festival Grand Floral Parade bands are not only marching but are being judged during the parade for over a dozen awards. The Parade includes in-state and out-of-state divisions as well as a sweepstakes. This parade features the One More Time Around Again Marching Band, an all-ages band featuring 500+ members from all over the country. National Cherry Blossom Festival Parade in Washington, D.C. The National Cherry Blossom Festival Parade takes place during the 2 week National Cherry Blossom Festival in April. This festival honors the gift of cherry trees from a Mayor of Tokyo to symbolize the friendship between the U.S. and Japan. The parade accepts marching bands with 90 or more members and Band applications for each year’s parade need to be submitted before Sept. 15th. The committee will extend invitations throughout the year until the lineup is full. The parade has attendees on average of around 300,000 people and along with marching bands, the parade features singers, dances and floats. The mile route passes historical buildings such as the Washington Monument, the Smithsonian Museums, the National Archives, the Department of Justice, and the White House. This November festival is considered the nation’s largest evening holiday celebration. The Magnificent Mile Lights Festival features a parade with floats and is marshaled by Disney’s favorite couple, Mickey Mouse and Minnie Mouse! More than a million lights brighten the city’s trees on Michigan Avenue for the parade. And if that is not enough, fireworks will light up the sky as well. Only a handful of bands get selected for this event. The New York City St. Patrick’s Day Parade started in 1761, 14 years before the signing of the Declaration of Independence. This parade has come to be known as one of the largest celebrations of Irish culture and heritage. This all feet – no vehicles parade has the NYPD band, the FDNY band, military bands, college bands, high school bands, and of course, Bagpipe Bands! Band applications for each year’s parade are looked at as they arrive and then are put into categories: Accept, deny, waitlist. The committee will extend invitations throughout the year until the lineup is full. The Macy’s Thanksgiving Day Parade is tied as the second-oldest parade in the United States. This parade is a tradition that many witness in person and many more embrace at their homes with loved ones at the start of the holiday season. 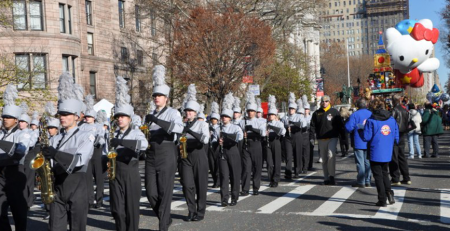 Having your Marching Band march through The Big Apple during the New York’s world-famous Macy’s Thanksgiving Day Parade is a major accomplishment for any Band Director and his/her band. Band directors need to apply years in advance and submit an application video to the Macy’s Band Selection Committee. The decisions are made by early May. The parade will be broadcasted on NBC. 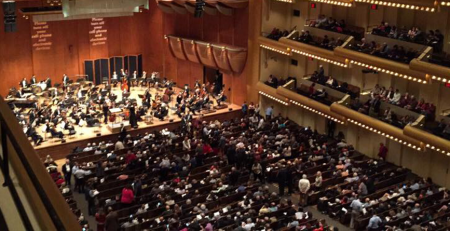 During a band’s visit, the group could also attend a Show on Broadway, a cruise to the Statue of Liberty or see performances at Carnegie Hall, Lincoln Center, or Radio City Music Hall and take in some shopping and some of the greatest food around. The feeling of marching down Main Street in front of thousands at the happiest place on earth is a cherished event for any marching band. 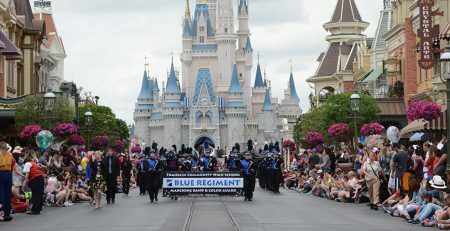 Marching Bands can be a part of Disney magic by marching in parades and participating in workshops in the Disney Performing Arts OnStage program. Applications can be accepted up to one year in advance. Disney also offers the program at Disneyland in Anaheim, California. 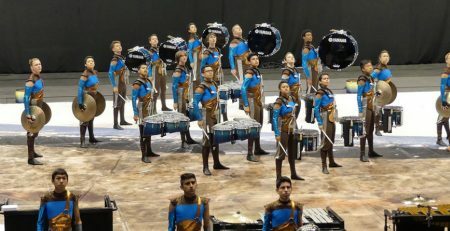 Year-round performance opportunities are available. This is how you bring in the New Year! 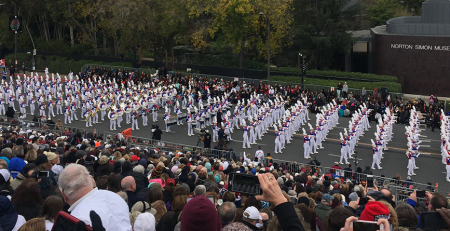 An honor for any band, the Rose Parade is one of the biggest marching opportunities of the year. This parade has 100’s of thousands in attendance and millions watching from all over the world. The few selected bands obtain the privelage to march in the 6 mile parade and also perform with other bands in a 3 day field show at Bandfest. 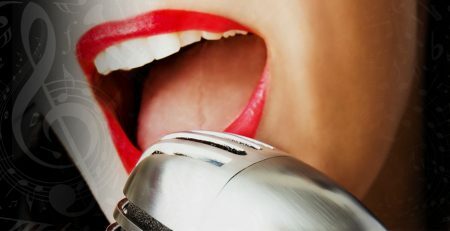 Bands are chosen by their musical skills, individuality, ability to captive the audience. Bands of all sizes and from all over the world are encouraged to be a part of this event. Invitations are presented in the fall so these talented bands have over a year to raise money for the trip. Bands play an important part in the St. Patrick’s Day Celebrations in Dublin. Bands from Ireland and around the world have thrilled audiences with their musical performances. Dublin’s St. Patrick’s Day festivities are highlighted by a really huge parade. 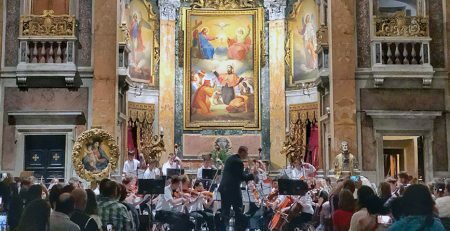 Music ensembles from Ireland, the United Kingdom, the USA, Brittany and more deliver great sound and uplifting rhythms. Everyone knows of the Indianapolis 500 held annually at Indianapolis Motor Speedway in Speedway, Indiana on Memorial Day weekend. Many bands participate in The 500 Festival Parade, held the day before the race. Since 1998, Music Travel Consultants has sponsored the National Band Association (NBA) Indiana All-Star Marching Band in the parade, featuring student musicians from around the state, dressed in their school’s uniform. This parade is the final act in a 3 day party that begins with Hawaiian festivities on a Friday evening. High School Marching Bands from around the world march in this colorful parade. The celebration includes a hula festival held at Ala Moana Center, where spectators have the rare opportunity to see hula groups from Japan perform with Hawaiian hula halau. The event builds towards the grand parade along Kalakaua Avenue. The floral parade features local marching bands—including the Royal Hawaiian Band and beautiful floats. Many local companies enter floats for their employees. After the parade, the state celebrates a Hoʻolauleʻa, literally celebration, or block party with food and music. Cultural exhibitions are also scattered throughout Kapiʻolani Park—arts and crafts, games, sports, and other events planned by the Bishop Museum, the premier Hawaiian cultural institution. On the Island of Hawaii, there are three floral parades held. One between the towns of Hawi and Kapaʻau and one in the town of Hilo. With over a dozen bands, including the Jefferson County All-Star Band, sponsored by Music Travel, this parade goes 17 blocks and has featured a wide variety of celebrities, including Grand Marshals such as the University of Louisville men’s and women’s basketball teams, the late Muhammad Ali, Loretta Lynn, Pat Day, and many others. The Pegasus Parade is the Kentucky Derby Festival’s oldest event. The Chicago Thanksgiving Parade symbolizes a tradition of family celebration. The Chicago Thanksgiving Parade features Santa Claus, Ronald McDonald and a cast of thousands! And in the middle of it all, Marching Bands! Applications need to be in by the end of May along with a video showcasing your Marching Band. Usually around 20 bands are chosen to participate in the parade. The Philadelphia Thanksgiving Day Parade is the oldest Thanksgiving parade in the country and a symbol of Philadelphia tradition. The parade touts massive floats and performers from choirs, dancers, and marching bands. This annual Thanksgiving Day parade is a milestone for any Music Director and his/her Marching Band. 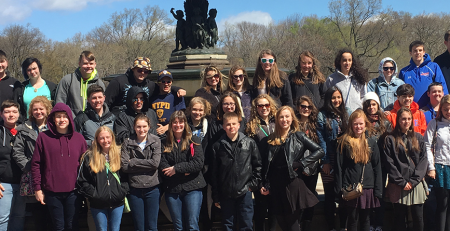 Marching Bands can also enjoy the many educational opportunities by touring historic sites such as Independence Hall and the Liberty Bell Center. A self-confessed "band addict," Mark Ferrell's love of music and band began during his marching days at Norwell (IN) High School. 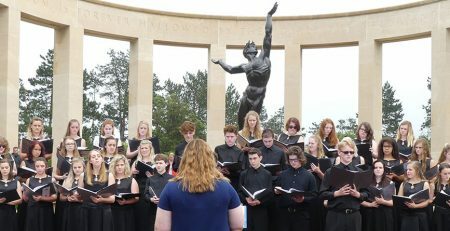 Enrolling in music education at Indiana-Purdue University in Fort Wayne, IN, Mark majored in voice, singing with the University Choir, Madrigal Singers, University Opera and the Fort Wayne Philharmonic Chorus. He went on to Butler University, completing his degree in Music Education and Arts Administration. While at Butler, summers found him volunteering with Bands of America at its Summer Music Games. A wide range of business and education credits have defined Mark's professional career. 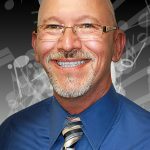 He has been Development Director for the Indianapolis Arts Chorale, Business Manager at the Indianapolis Men's Chorus, a private voice and piano instructor, and he's served his church as tenor soloist. He also completed an internship with the Indianapolis Museum of Art. Travel work was a natural migration for Mark, and he's worked on both the group and individual sides of the business. Mark's unique blend of experience in the arts and in business makes him highly attuned to performing group needs and superbly able to meet them.